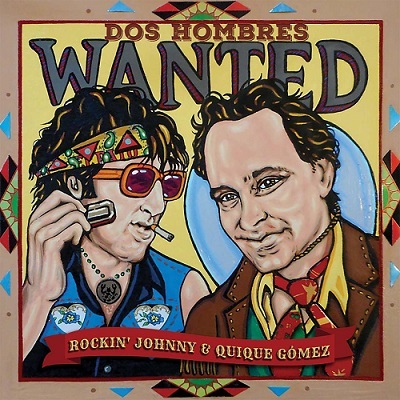 BLUES JUNCTION Productions - Album Review: Rockin' Johnny & Quique Gómez - Dos Hombres Wanted! Rockin' Johnny & Quique Gómez - Dos Hombres Wanted! Rockin’ Johnny Burgin is a six-string savant with an extraordinary blues vocabulary. He is also a fine songwriter and a singer whose prowess in this department is often overshadowed by his exemplary guitar work, but this aspect of his arsenal shouldn’t be overlooked. All of this is put on display on Dos Hombres Wanted! If that isn’t enough, Burgin shares singing and songwriting duties with Spanish harp man Quique Gómez. This Madrid based talent is up to the task and the album does not experience any drop off when Rockin’ Johnny’s inter-continental, kindred spirit steps up to the mic. 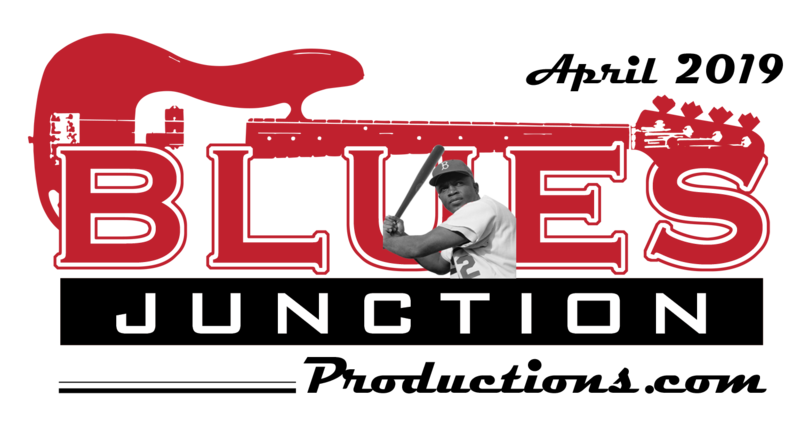 This generous 14 song, 64-minute journey through the blues features mostly original material penned in almost equal measure by Burgin and Gomez save Robert Lockwood Junior’s Funny but True and Tampa Red’s Don’t Blame Shorty. The band found some headroom in the latter, a personal favorite, by playing in a slow deliberate manner and by leaving the dreaded blues kazoo in the closet. The Austin, Texas, based Greg Izor plays acoustic harmonica on one song written by Burgin, the up-tempo shuffle Are You Ever. Gómez sings and plays harp on an Izor original entitled Livin’ Day To Day. The album was recorded in both Austin and in Toledo, Spain. It was mixed and mastered by Kid Andersen at his Greaseland Studios (where else?) in San Jose, California. Gómez’ harp is often forceful, yet tasteful all at the same time. Rockin’ Johnny is given enough room to fire off one guitar salvo into the night after another, yet there isn’t any hint of histrionics in his playing. He is a mature artist who understands how to communicate in the elusive language of the blues and does so with the song and his fellow musicians in mind. Those musicians include bassist Eric Przygocki, Steve Dougherty on drums and Christian Dozzler on piano and accordion. Josh Fulero plays guitar on three tracks and Faris Jarrah blows some trombone on another tune. This brand new Vizztone Records release receives my highest recommendation.